"She keeps saying, Amma don't let me sleep. I know she senses what is coming. I keep telling her that when she opens her eyes again, I'll be right here." 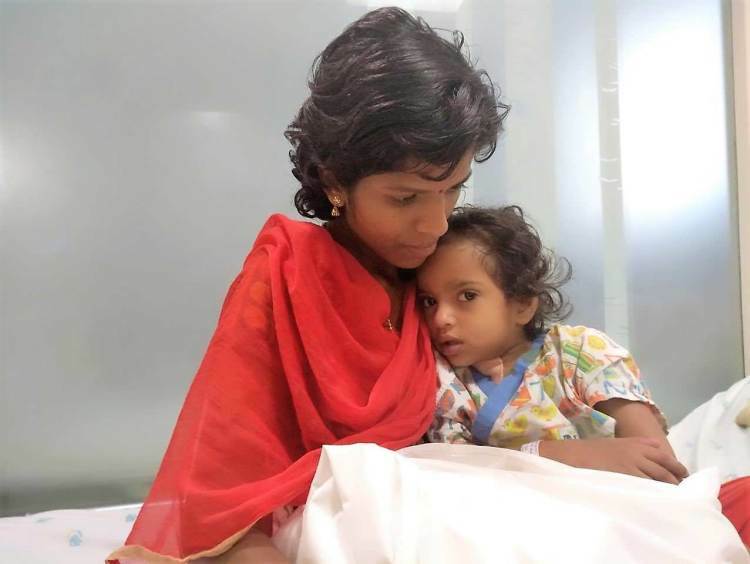 Roja's nightmares and anxiety about her daughter Divya Priya's health began within few hours of her birth. Breastfeeding the baby for the first time would bring so many emotions together for a mother. For Roja it was horrific, her newborn baby turned blue around the lips and rapidly all over the body when she fed her for the first time. She began to breathe faster and deeper. 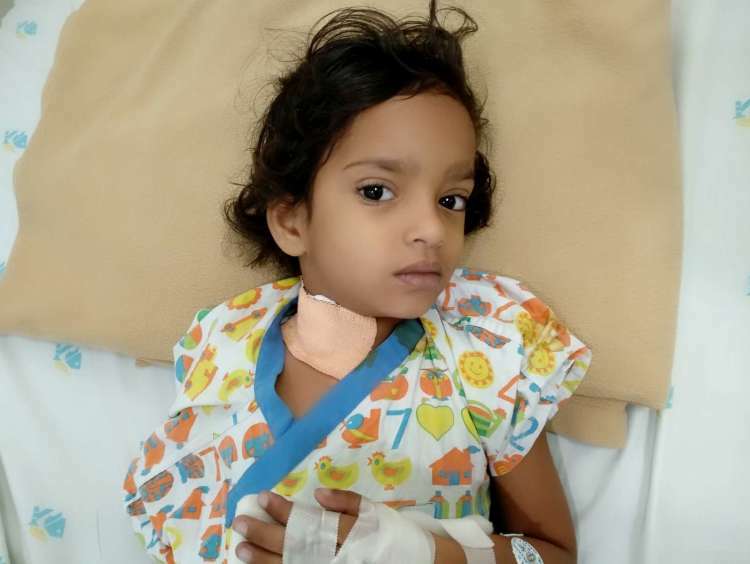 Now, 4 years old, Divya is losing the fight to complications. Roja's pregnancy scans were perfectly well. She did not find any reason to be apprehensive about her baby's health. She was terrified when she saw her baby turning blue. She was diagnosed with a heart disease. She has a single ventricle heart which is a group of defects that occur because one pumping chamber is smaller than the other. 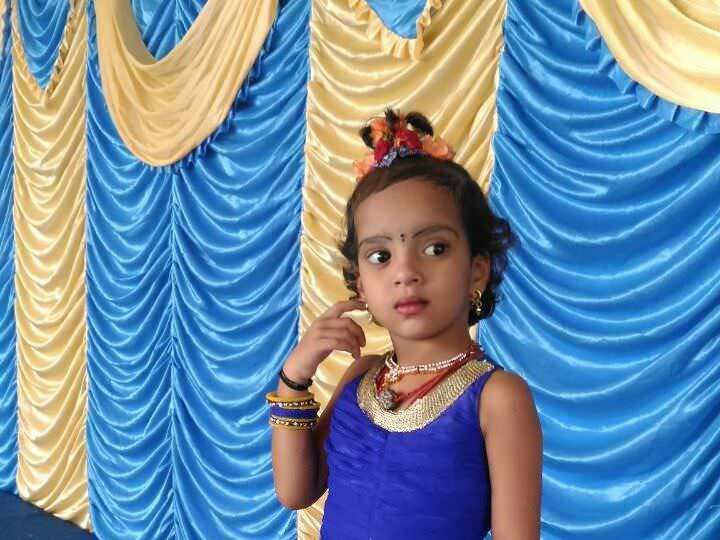 Divya had a surgery to replace a valve when she was 15 days old. Its effects were immediate. The major symptoms disappeared. Unaware of the other complications, the family was relieved and believed that she was going to be alright. Her life, from then to now, has never been normal. Divya's activities are restricted, she can hardly stand for a while. She has never been able to run or play like other children. Even though her world was lonely, she kept herself occupied with drawing and coloring. We realized her heart was getting weaker when she stopped doing that too. She gets upset whenever she cannot sit and draw, whenever she gets tired and starts gasping for breath. This makes her cry a lot. At this point, Divya needs an urgent surgery. They cannot wait and hope for medicines to work. 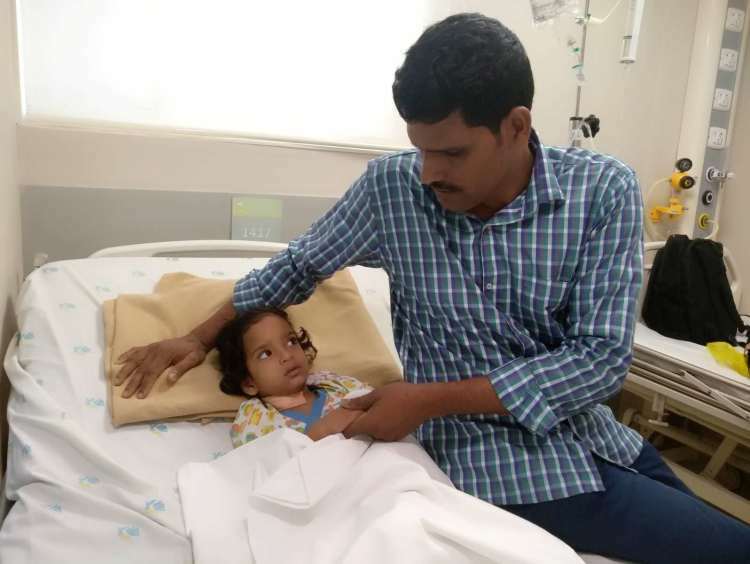 Her heart beats faster than ever, hurting her chest, causing this little girl to faint. She fears falling in and out of consciousness. She lies awake because she is afraid shutting her eyes would mean she never gets to open them again. With a few days on the clock, Divya is clinging onto life with all her might. The longer we wait to do the surgery, the lesser become chances of success. Dhanancheliyan, Divya's father, works at a hotel. He has less than 2% left to run the house after taking care of medical bills for her elderly parents and sick daughter. 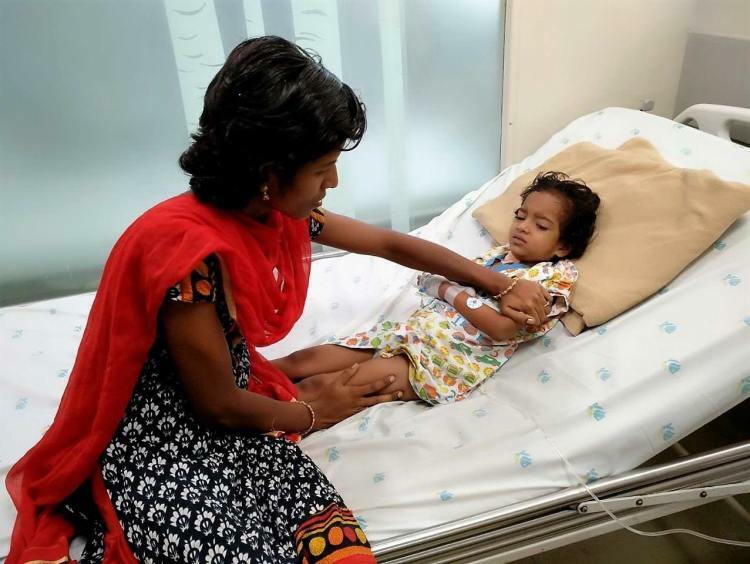 He had saved, for the children, but ended up spending it all on Divya's first surgery. He has even sold the little assets he owned. 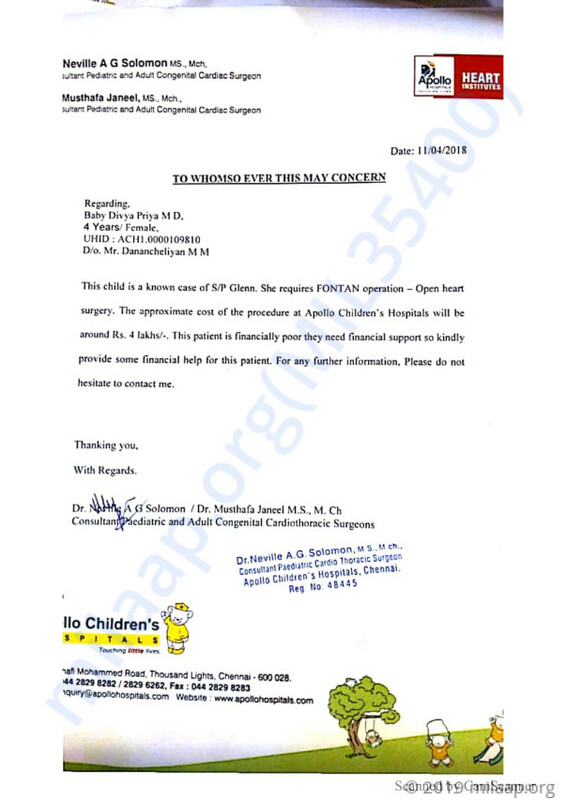 This surgery requires Rs. 4 lakhs. Cheliyan has less than Rs. 10,000. This little girl can grow up to have a normal child and be a painter someday if only given the chance. 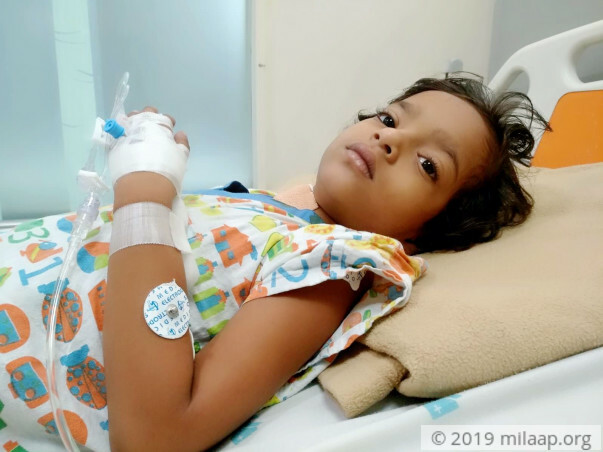 Your contribution can give Divya a second shot at life.